Widespread Cheating in a game led to the arrest of 120 individuals in China in connection with the making and selling of PlayerUnknown’s Battlegrounds (PUBG) cheat tools on the Internet. The price of these hacks range from $10 to $30 for a day of use. In April 2018, 15 individuals were also arrested in China, and fined a hefty amount of 5.1 million US Dollar or 264 million Philippine Pesos. PlayerUnknown’s Battlegrounds is one of the biggest online competitive battle royale games in the world. Makes other people to use hacking tools to tricks and make advantage of other players in the game. The cheats varies from different kinds of hack from aimbot, location tracker of other players and the most recent a flying car. The PUBG hack tools also comes with a Trojan Horse virus that could scanned personal data and illegally extracted from the victim for additional profits and other purposes. Since the arrest of these individuals, there are over 200 pieces of computer hardware that was confiscated, including the smartphones of the arrested hackers. 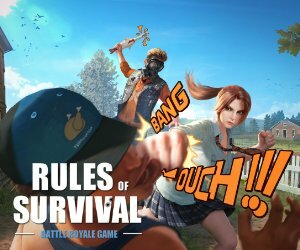 PUBG.qq.com, the official PUBG forum chinese site – posted several images of the arrested hacker to warn and discourage everyone not to involve on this kind of activities. Widespread Cheating in a game led to the arrest of 120 individuals in China in connection with the making and selling of PlayerUnknown's Battlegrounds (PUBG) cheat tools on the Internet. The price of these hacks range from $10 to $30 for a day of use. In April 2018, 15 individuals were also arrested in China, and fined a hefty amount of 5.1 million US Dollar or 264 million Philippine Pesos. PlayerUnknown's Battlegrounds is one of the biggest online competitive battle royale games in the world. Makes other people to use hacking tools to tricks and make advantage of other players in the game. The cheats varies from different kinds of hack from aimbot, location tracker of other players and the most recent a flying car. The PUBG hack tools also comes with a Trojan Horse virus that could scanned personal data and illegally extracted from the victim for additional profits and other purposes. Since the arrest of these individuals, there are over 200 pieces of computer hardware that was confiscated, including the smartphones of the arrested hackers. PUBG.qq.com, the official PUBG forum chinese site - posted several images of the arrested hacker to warn and discourage everyone not to involve on this kind of activities.